Oh, Ubuntu; you are my favorite Linux-based operating system. But perhaps the best part about Ubuntu, not to mention Linux in general, is how it can be installed on most any machine you run into. 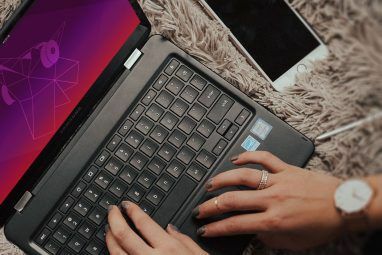 If you’re looking to install Ubuntu under unusual circumstances you’ve found the right article: we’re going to run through 5 weird and alternative Ubuntu installs. If this isn’t what you’re looking for, keep reading anyway. What could it hurt? It’s 2010; optical drives are all but dead. If you’ve got a computer without an optical drive, be it a netbook or simply a desktop with a broken drive, don’t panic: you can install Ubuntu from your USB drive. The best tool for the job, of course, is UNetBootin. This tool is capable of writing a wide variety of Linux Live CDs to your USB key or external hard drive. Boot from your USB key and you should be good to go, installing Ubuntu the same way you do from a computer. Want to learn more about using UNetBootin? Check out Blake’s article How To Install Linux With Ease with UNetBootin How To Install Linux With Ease Using UNetbootin How To Install Linux With Ease Using UNetbootin We've already talked about Linux and why you should try it, but probably the hardest part of getting used to Linux is getting it in the first place. For Windows users, the simplest way is... Read More . Trying to create a bootable disk from your Mac? UNetBootin won’t work, but Jeffry’s article How To Create A Portable Ubuntu Installation USB On The Mac How To Create A Portable Ubuntu Installation USB On The Mac How To Create A Portable Ubuntu Installation USB On The Mac Read More has you covered (but if you have access to a Windows or Linux computer that’s the simplest way to go). 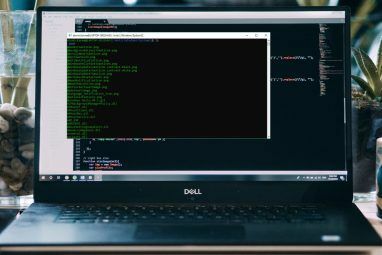 Many Ubuntu zealots will tell you that the ideal Ubuntu situation is quit Windows entirely, but that’s not completely necessary: Windows and Ubuntu can co-exist quite peacefully. In fact, if you want, you can install Ubuntu directly from inside Wubi. If you have an Ubuntu CD go ahead and insert it in Windows; you’ll be asked if you want to install Ubuntu. This is possible because of a program called Wubi. Don’t have a Ubuntu CD? That’s okay, you can download Wubi from the web. It will automatically download Ubuntu and install it for you. Best of all, if you decide you don’t like Ubuntu you can remove it from within Windows the way you would any piece of Windows software. Read all about the wonders of Wubi in Tim’s article How to Set Up a Dual Boot Windows & Linux System with Wubi How to Set Up a Dual Boot Windows & Linux System with Wubi How to Set Up a Dual Boot Windows & Linux System with Wubi Read More . Mac users are often hesitant about installing Ubuntu on their system. This is understandable; Mac’s own Boot Camp software doesn’t officially support Linux and many of the guides for doing so around the Internet are really complicated. 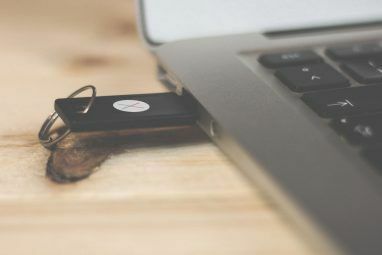 Having your USB disk function as a LiveCD is cool, but if you want a portable version of Ubuntu that you can customize however you like and use on any computer don’t worry: there are a variety of tools for the job. You could use Portable Linux for the job, or LiveUSBCreator. Alternatively, you could just boot the Ubuntu installation CD and install to your thumb drive instead of to a regular drive. For more information check out this article over at wiki.ubuntu.com. As it turns out, you can make use of VMWare to install Ubuntu onto any drive. Here’s how it works: create a new virtual machine, but instead of creating a virtual disk tell VMWare to write the operating system directly to a physical drive. This can be a secondary drive in your computer or a USB thumb drive, it doesn’t matter; what does matter is the result. You’ll have Ubuntu installed on the external drive of your choice. This could be a solution if you need to install Ubuntu onto a computer with no optical drive and no working USB port, provided you have an extra computer. Simply remove the hard drive from that computer and connect it to another computer with a USB to IDE connector, or by opening your other computer and connecting it internally. Then fire up VMware and install Ubuntu to the drive with it. Of course, your mileage may vary. Check out the write-up over at help.ubuntu.com for more information. Click this and your upgrade will start. Just know that you should probably back up your data before doing so. It’s also worth noting that this process can take a long time – it involves downloading and installing about 700 MB worth of packages – so make sure you won’t need your computer for at least a few hours beforehand. 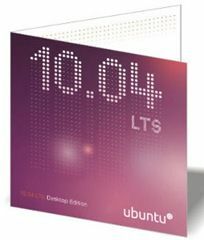 Find more information about upgrading Ubuntu over at Ubuntu’s website. There you have it: a series of unique ways to install Ubuntu. I realize many of these methods could work with just about any version of Linux, so feel free to apply them as you see fit. There are more methods out there, that’s for sure. If none of these fits your unusual situation I highly recommend you check out the many scenarios laid out and see what you can find. Have any other alternative Ubuntu install methods you particularly like? Let me know about them in the comments below, and link to documentation if you want. Also feel free to point out any details I may have missed in describing these methods. Finally, because I know at least one of you will, feel free to tell me that Linux Mint is superior to Ubuntu despite the fact that Mint is mostly just Ubuntu with a few cool tweaks (but know that I will ignore you). Explore more about: Dual Boot, Ubuntu. Ran Ubuntu for about a year and liked the speed but had constant hassle trying to keep Firewire activated (off by default; with every upgrade it would again be turned off) plus there was no decent video editing app. I tried them all. Running my favorite, Vegas, in a virtual machine was clunky. Never could get my graphics card running properly (NVidia) so my display was not able to take advantage of the cool 3D desktop stuff. You might be a really clever troll. If so, well done. Perhaps, however, you're a little confused. Mac OSX is based on UNIX, the standard Linux was designed to imitate. Bootcamp, the software Apple offers for multi-booting, does not offer Linux as an option. "Macâ€™s own Boot Camp software doesn't officially support Linux"
Mac OSX is based on Linux! "Mac’s own Boot Camp software doesn't officially support Linux"
I installed ubuntu on my 8gb usb flash dongle as I did a normal install. Chose to put the grub on the usb dongle and I'm done. I was surprised that it was so easy. Now if I want to boot to Ubuntu, I just insert the usb dongle and restart the laptop. Want to boot to Win 7? Just take out the usb dongle and restart. Very nice.